Vermont is a small state that is home to some two-year colleges with big earning potential. Find out where associate degrees pay off the most in Vermont. 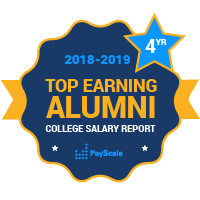 For the PayScale College Salary Report, we’ve included a couple of two-year-college programs from Vermont. The purpose of this report is to provide a metric by which college hopefuls can gauge whether or not an associate degree program is a wise investment for them. While there are obviously academic standards to account for, we also measure the financial benefits of a given program, as well as how students would rank the value of their careers after receiving the degree. For this report, we’ve gathered data from Champlain College, and Community College of Vermont. Students who study for their associate degree in Vermont can go into a broad variety of jobs. Champlain offers both two and four-year programs, and students have gone on to work in Web Development, Finance, Marketing, Forensic Computer Analysis, and Accounting. About twenty-five percent of students who attend Champlain qualify for the Pell Grant.